According to the United States Census Bureau the most recent population count is 317,877,100. This ranks the United States as the third most populated country in the world. Yet, with the large population, advanced training resources, and large participation in track and field, The United States has not had an Olympic medalist in the 800 meter event since the 1992 Barcelona Olympics. 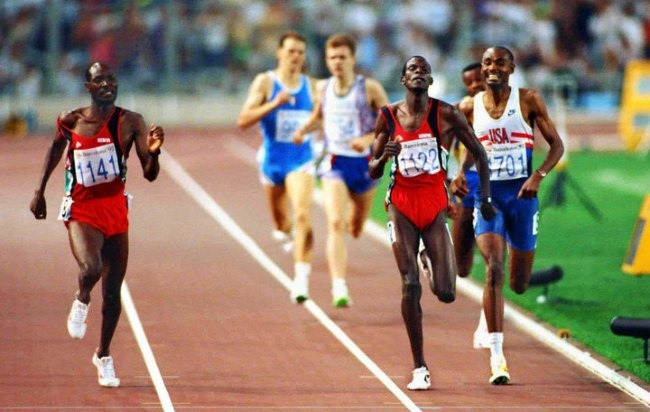 Perhaps some aspect in the concept of middle-distance training is missing or has devolved over the last two decades. The current trends of middle-distance training involved large amounts of high intensity interval training or high workloads in an anaerobic state, often referred to as speed endurance. This appears to be effective in improving middle distance running performances (Blasco-Lafarga, Montoyo-Vieco, Martinez-Navarro, Mateo-March, & Gallach, 2013). However, current research suggests that these workouts come with a price to the athlete if not properly implemented into their training regime (Baechle & Earle, 2008; Beck, 2005; Coe, 1996). The purpose of this paper is to look at the current trends in training for middle-distance runners and to analyze the effects it has on athletes. First, it will identify the main components emphasized in middle-distance training regimes, such as energy systems, weight training, and plyometrics. The next section will focus on the findings of research related to middle-distance training regimes. Mainly, the effects it has on hormone release and relation to blood disorders. Finally, it will discuss the findings of the current research to determine if new solutions can be implemented to avoid identified problem areas. According to Daniels (2005); there are four ingredients to success; inherent ability, motivation, opportunity and direction. Although one cannot control many of these ingredients, coaches and teachers can influence performance through direction. Coaches and teachers can develop plans to fit the needs and abilities of the athlete. Regardless of the level of runner, there are many common components that are emphasized in all middle-distance training plans. According to Martin and Coe (1997); there are four basic training zones that these components fall into. The first zone is aerobic conditioning, which can be defined as longer lower intensity runs. This is typically identified as 55-75 percent of VO2 max, which is an easy running pace where one could hold a conversation. This type of activity stresses the oxidative energy system (Baechle & Earle, 2008; Beck, 2005; Martin & Coe, 1996). The second zone is anaerobic conditioning. Tempo and steady-state runs are terms that are associated with this zone. Anaerobic conditioning can be defined as a medium intensity workload at around 75-90 percent of VO2 max. The running duration in this zone is often 15-25 minutes. The medium intensity effort stresses the oxidative system with minor fast glycolysis contributions (Baechle & Earle, 2008; Beck, 2005; Martin & Coe, 1996). The third zone is aerobic capacity, commonly referred to as interval and/or fartlek runs. This is performed at a moderately high intensity effort of 90-100 percent VO2 max. Due to the increased intensity, the pace typically cannot be held for longer than 10-11 minutes when running within the zone, primarily stressing the fast glycolysis and oxidative energy system (Baechle & Earle, 2008; Beck, 2005; Martin & Coe, 1996). 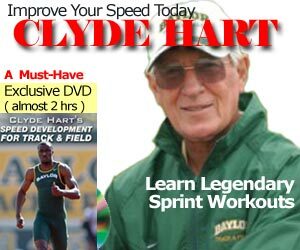 The final zone is anaerobic capacity, which is commonly known as speed work. Speed work is often performed at 100-110 percent of VO2 max. Since anaerobic capacity is a high intensity zone, any intervals/running performed generally last 30-120 seconds. Speed work primarily stresses the phosphagen and fast glycolysis energy systems (Baechle & Earle, 2008; Beck, 2005; Martin & Coe, 1996). Current trends in middle-distance training involve high emphasis in anaerobic capacity and aerobic capacity. Research indicates that using these high intensity interval workouts increases the ability to process lactate, improve pacing ability, improve activation of fast twitch muscle fibers, as well as other physiological improvements (Baechle & Earle, 2008; Beck, 2005; Blasco-Lafarga, Montoyo-Vieco, Martinez-Navarro, Mateo-March, & Gallach, 2013; O’Sullivan, 2006). Current trends in middle-distance training regime also include an abundance of weights and plyometric training. Research indicates these methods improve neuromuscular and anaerobic characteristics, explosive strength, musculo-tendon stiffness, and overall middle- and long-distance running performance (Baechle & Earle, 2008; Coe, 1996; Ramiez-Campillo, 2014; Spurr, Murphy, Watsford, 2002). Although weights and plyometrics differ from running, they may still fall into the fourth zone of anaerobic capacity since they highly stress the body. Alternately, they may fall into a speed development zone, which is characterized by actions performed at maximal effort between 110-130 percent of VO2 max. These efforts last only 5-10seconds, and primarily stress the phosphagen energy system (Baechle & Earle, 2008; Jeffreys, 2013). The fore-mentioned trends in middle-distance training include high emphasis in aerobic capacity, anaerobic capacity, weights and plyometric training. Current research on these trends has shown improvement in middle-distance running performance, but at a potential cost to the athlete. (Baechle & Earle, 2008; Coe, 1996; Ramiez-Campillo, 2014; Spurrs, Murphy, & Watsford, 2002). However, the trends that focus on improving anaerobic and aerobic capacity with little to no contribution to anaerobic and aerobic conditioning may adversely affect the athlete (Baechle & Earle, 2008; Daniels, 2005; Lehmann et al., 1992; Peeling et al., 2009; Viru & Viru, 2001; Zouhal et al., 2007). The training zones emphasized in middle-distance training initiate high levels of stress on the body. Without proper conditioning of these zones, research indicates this training can be harmful to the health of the athlete (Baechle & Earle, 2008; Beck, 2005; Daniels, 2005). During these high intensity interval training bouts, the athlete is often working around 90-110% of VO2 max, which elicits a high concentration of accumulated lactate into the blood (Baechle & Earle, 2008; Beck, 2005; Coe, 1996; Daniels, 2005). During this accumulation, research shows a response in the brain is triggered to initiate the release of cortisol, catecholamines and other adrenal hormones related to stress (Baechle & Earle, 2008; Lehmann et al., 1992; Viru & Viru, 2001). The release of stress hormones may elicit other responses within the body that are hazardous to the athlete, causing poor performance and inadequate recovery. According to Steinacker, Lormes, Reissnecker, and Liu (2004); the reoccurring release of such hormones during training can lead to an overtraining response in the athlete. Once the overtraining response is initiated, immune function is depressed, tissue metabolism decreases, and organ function is compromised. Additionally, muscle cell damage decreases contractile ability, force production, protein synthesis, cell repair, and transport processes in the cell. Furthermore, overtraining may lead to a decline or plateau in racing performance, in addition to an increased risk of injury to the athlete (Baechle & Earle, 2008; Daniels, 2005; Lehmann et al., 1992). Other problems that are possible when training at high intensities are cases of blood disorders. New findings have reported many middle-distance runners experiencing hemolysis, caused by the heart contracting at a high velocity (Peeling et al., 2009; Zouhal et al., 2007). When the heart contracts forcefully and rapidly it initiates large stroke volumes, which pushes the blood through arteries/arterioles at high velocities. This causes breakage to the membranes in red blood cells, thus disabling them from performing their functions properly (Baechle & Earle, 2008; Peeling et al., 2009). The reproduction of this process over time has shown that it can lead to hemolysis anemia, a decrease of the individuals’ oxygen transporting capacity, causing them to feel fatigue and shortness of breath (Baechle & Earle, 2008; Jones, Newhouse, Jakobi, LaVoie, & Thayer, 2001; O’Sullivan, 2006; Peeling et al., 2009). Another common finding is the incidence of blood in the urine (hematuria), which is commonly associated with high running intensity. Jones et al. (2001); suggests that running performed at or above 110% of VO2 max over moderate distance had the highest incidence of hematuria. Regardless of rest and duration of exercise, studies suggest that hematuria and hemolysis occurs more frequently as running intensity increases. (Jones et al, 2001; Peeling at al., 2009). Additionally, studies suggest that during high intensity training, lactate is introduced into the blood stream faster than the body can use or metabolize it. (Baechle & Earle, 2008). This causes lactate accumulation in the blood. During the invasive process of lactate overload in the blood, a response is triggered to release stress hormones (Baechle & Earle, 2008). Furthermore, red blood cells can become damaged from the over-worked circulatory system trying to keep up with the demands (Jones et al, 2001), (Peeling at al., 2009). Although the common trends in training may increase performance and produce certain benefits, it comes with a cost to the health of the athlete. Current trends suggest improvement in performance, but coaches should implement these trends safely into their training regimes. There are numerous factors to consider when trying to avoid these problems. First, if the majority of the problems are initiated by the onset of lactate accumulation in the blood, the logical step would be to increase lactate threshold. This may include using methods other than high intensity interval training, to eliminate spending a large percentage of training working in an anaerobic state. Next would be to identify lactate threshold methods and identify proper pacing/effort for each individual athlete. This may help the coach control/protect the athlete from working too hard during the workouts. The last factor is proper implementation of the training. There are numerous components in this area to consider. This is where a coach’s art or style comes into play. The coach is responsible for adapting the program to create an environment for the athlete to be successful (Daniels, 2005). The most popular way to increase lactate threshold is through working on anaerobic conditioning, which is the second zone identified in training theories (Martin & Coe, 1997). Tempo, steady state, interval and fartlek running are common lactate threshold workouts. Ideally, coaches should strive to get the athlete in the zone where they are working at 75-90 percent of VO2 max. Most coaches do not have means to measure each athlete’s VO2 max values. Close estimates can be figured by using max heart rate values. When using heart rate values as an indicator, the goal is to keep it at 70-90 percent of max heart rate. The main visual indicator is observing the athletes during the workout. If they are gasping for air, not able to complete a sentence, or bent over in fatigue they are probably working too hard. Coaches should encourage them to feel/listen to their bodies while training in this zone to understand the effort needed to achieve a productive workout. Workouts can vary greatly but the intent is to get the athlete running within the zone at the appropriate time during workouts. Examples of these workouts include mile repeats with minute rest, 400 meter repeats with short jog recoveries, or fartlek-style runs alternating zone running with easy jogging. Rest is very limited so proper pacing/effort is crucial for a productive workout. (O’Sullivan, 2006; Martin & Coe, 1997). The athletes’ development in the second zone is largely influenced by their development of the first zone aerobic conditioning. Developing the athletes’ conditioning in these two zones creates bodily adaptations to the training demands in the third and fourth zones. 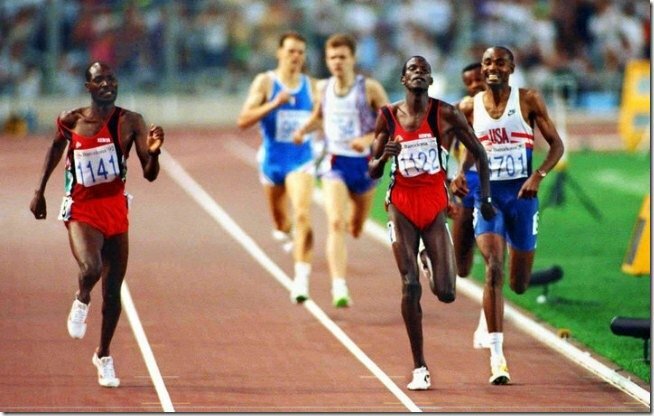 Some of the physiological benefits of developing aerobic and anaerobic conditioning include: improved ability to metabolize lactate, increased VO2 max, stronger bones, tendons and ligaments, increased stroke volume, improved circulation, increased muscular strength, increased lung volume, decreased resting heart rate, lower blood pressure, and increased ability to metabolize fat (Baechle & Earle, 2008; Beck, 2005; Coe, 1996; Daniels, 2005). Common problems associated with this approach are increased time demands and consistent training regimes to allow the adaptations to occur. This approach suggests that training is a progressive process in which the athlete builds upon previous foundations of conditioning before moving on to more intense components of training. This may decrease the likelihood of potential hazards and injuries, which are detrimental to health and improvement. Implementation of this training depends only on the limitations of the program, athlete, and coaches’ ability to successfully integrate the components. This includes time committed to training, length of season, and environment. Coaches may want to include weights, plyometrics, form drills, or circuit training as additional components. The focus should be on zones one and two during off season and pre-season training. This allows time for the athlete to gain both physiological and mental adaptations to the training. Once the athlete is conditioned, training begins to shift to zones three and four. This occurs during the competitive season. However, one must always account for proper rest and recovery throughout training sessions. This method of training is more complete, which may improve development and result in better performances. The current trends in middle-distance training are largely focused around high intensity training with neglect to the lower intensity preparation phases of training. As a result, poorer results and potential hazards such as injury and illness may occur. Proper preparation of the athlete through use of low to moderate intensities may improve conditioning and increase adaptation to the demands of higher intensity training methods. Finally, this may help prevent potential injuries, improve health, and create opportunities to improve performance in middle-distance events. Baechle, T.R., & Earle, R.W. (2008). Essentials of strength training and conditioning. Champaign, IL: Human Kinetics. Beck, K. (2005). Run Strong. Champaign, IL: Human Kinetics. Blasco-Lafarga, C., Montoyo-Vieco, A., Martinez-Navarro, I., Mateo-March, M., & Gallach, J.E. (2013). 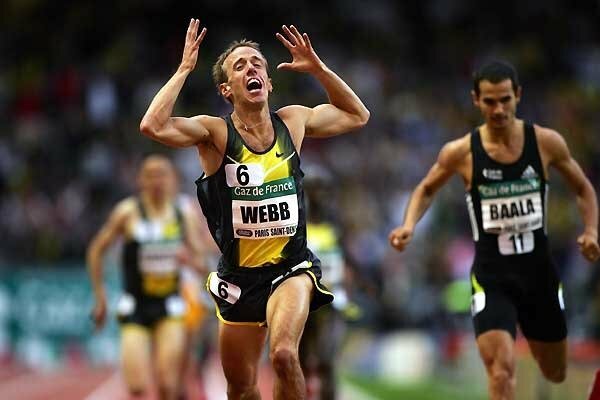 Six hundred meter-run and broken 800’s contribution to pacing improvments in eight-hundred meter athletics: Role of expertise and training implications. The Journal of Strength and Conditioning Research, 27(9), 2405-2413. Coe, P. (1996). 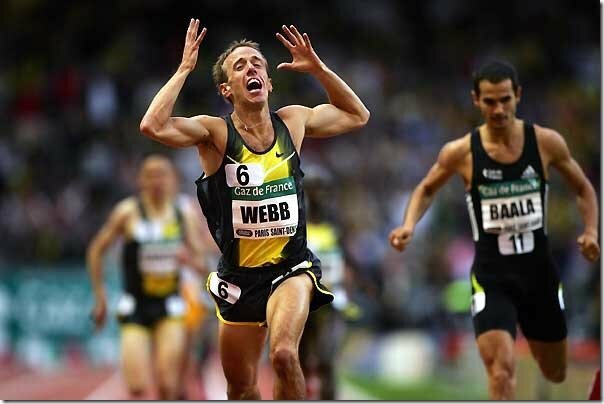 Winning running: Successful 800m & 1500m racing and training. Ramsbury, Malborough Wiltshire: The Crowood Press Ltd.
Daniels, J. (2005). Daniels’ running formula. Champaign, IL: Human Kinetics. Jeffreys, I., (2013). Developing speed. Champaign, IL: Human Kinetics. Jones, G.A., Newhouse, I.J., Jakobi, J.M., LaVoie, N., & Thayer, R. (2001). The incidence of hematuria in middle distance track running. Canadian Journal of Applied Physiology, 26(4), 336-349. Kanaley, J.A., Weltman, J.Y., & Pieper, K.S.(2001). Cortisol and growth hormone responses to exercise at different times of day. The Journal of Clinical Endocrinology & Metabolism, 86(6), 2881-2889. Lehmann, M., Gastmann, U., Petersen, K.G., Bachl, N., Seidel, A., Khalaf, A.N., Fisher, S., & Keul, J. (1992). Training- overtraining: Performance, and hormone levels, after a defined increase in training volume versus intensity in experienced middle and long distance runners. British Journal of Sports Medicine, 26(4), 233-242. Martin, D., & Coe, P. (1997). Better training for distance runners. Champaign, IL: Human Kinetics. O’Sullivan, M. (Director). (2006). Advanced methods for lactate threshold training. [Motion Picture]. United States: 2730 Graham Street, Ames, IA 50010. Championship Productions. O’Sullivan, M. (Director). (2006). Middles distance training. [Motion Picture]. United States: 2730 Graham Street, Ames, IA 50010. Championship Productions. Peeling, P., Dawson, B., Goodman, C., Landers, G., & Tinder, D. (2008). The effect of training surface and intensity on hemolysis and inflammation. Journal of Science and Medicine in Sport, 83(1), 12. Ramiez-Campillo, R., Alvarez, C., Henriquez-Olguin, C., Baez, E.B., Martinez, C., Andrade, D., & Izquierdo, M. (2014). Effects of plyometric training on endurance and explosive strength performance in competitive middle-and –long-distance runners. Journal of Strength and Conditioning Research, 28(1), 97-104. Steinacker, J.M., Lormes, W., Reissnecker, S., & Liu, Y. (2004). New aspects of the hormone and cytokine response to training. European Journal of Physiology, 24, 382-391. Viru, A., & Viru, M. (2001). Hormones on short-term exercises: Anaerobic events. Strength and Conditioning Journal, 25(4), 31-37. Zouhal, H., Vincent, S., Moussa, E. Jacob, C., Groussard, C., Abderahaman, A.B., & Prioux, P. (2007). Influence of training status on plasma volume variations and plasma lactate concentrations in response to supramaximal exercise. Biology of Sport, (24)4, 339-356.